I don’t know about you, but I always think that Valentine’s Day is a bit of a tricky time of year! There’s always the dilemma of, on one hand, not wanting to give into the whole sappy “love” holiday hype, yet on the other, wanting to celebrate with gifts and special dinners and to stop being such a bore about the whole thing! It’s a tricky balance to get right! Therefore, this year, I think the best way to go forward is to go and buy a little token for your loved one; not going too over the top but still showing your appreciation through a gift to celebrate! There is something about taking the time to unwrap a present, sharing a special moment between just the two of you that I really appreciate. It’s sappy – but it’s true! Sometimes you just need to make the time to reflect and celebrate what – and who – is important to you! That is the main reason why I was so happy when I first spotted that Powder actually do men’s socks! Now, first thing’s first, these aren’t the kind of socks you get from your elderly auntie at Christmas, the socks from Powder are really unique and unlike any that I’ve seen on the high street! For example, there are lots of fun patterns to pick from; including paisley and polka dot, cute doggies and fun fruity designs, there really is something for everyone! Why not choose a pair as individual as your valentine? 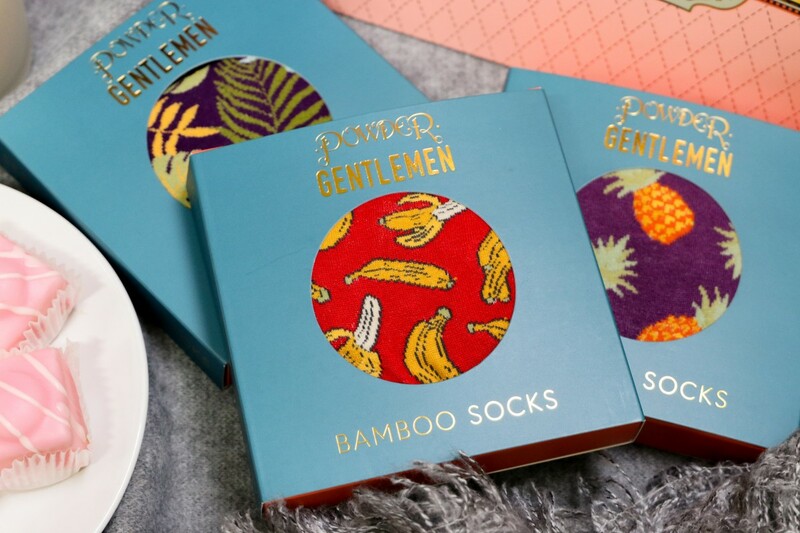 Plus – all of Powders men’s socks already come in a beautiful gift box – talk about taking any stress away! If you’re a true fan, you could even treat your special someone to the Fox Mens Sock Gift Box that has three different pairs in! Not going to lie, the gift boxes are so detailed and pretty that I wouldn’t mind stealing the empty box to have on display in my flat! Seriously, they would be great for all those little nic-naks that seem to go missing…perhaps a safe place for my keys! You may have read in my mums Christmas blog (linked here) that she gave me a pair of the A-Z Socks for my Christmas (as well as a pair of the Sausage Dog Knee-Highs – a true favourite) I just couldn’t get over how soft they were! It turns out that it is the bamboo fibres that they’re made with which help make them extra soft and comfortable! Just another thing to take the stress of buying online away! I’m sure I’m not alone when I say that I always find it so difficult to buy for men (I usually get distracted and end up buying things for myself instead)! So, the fact that Powder not only does really funky men’s socks but also ladies matching socks definitely peaked my interest! Why not get the best of both worlds and treat him while also having the perfect excuse to treat yourself at the same time? 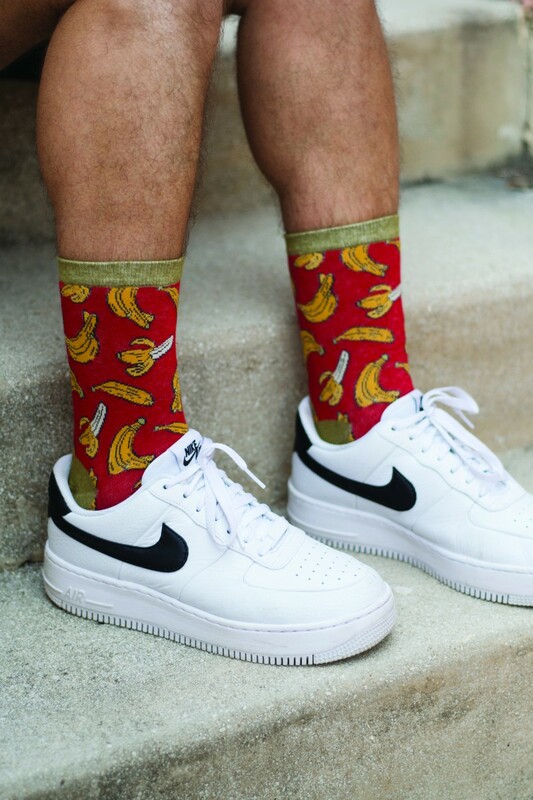 One of my favourites are the – almost matching - his and hers pineapple socks! I absolutely love the design and they definitely add a spark of summer to an otherwise grey day! I love the thought of me and Fraser having matching socks – you know, perfect for the all-important Instagram story! If you are looking for something a little different and not the conventional soppy gift, then I highly recommend looking no further than Powder! 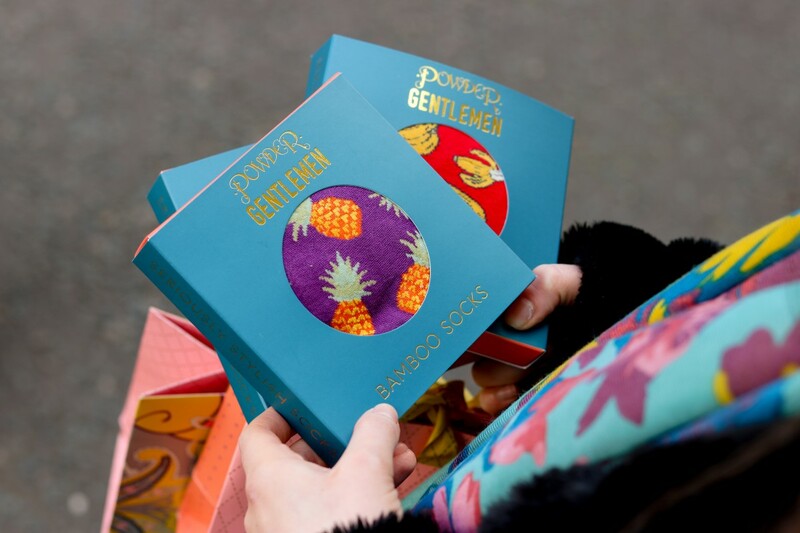 With their beautiful designs, softer than soft fabrics, great price-point, plus their beautiful packaging – I really can’t imagine shopping anywhere else for socks! Which pair will you pick? 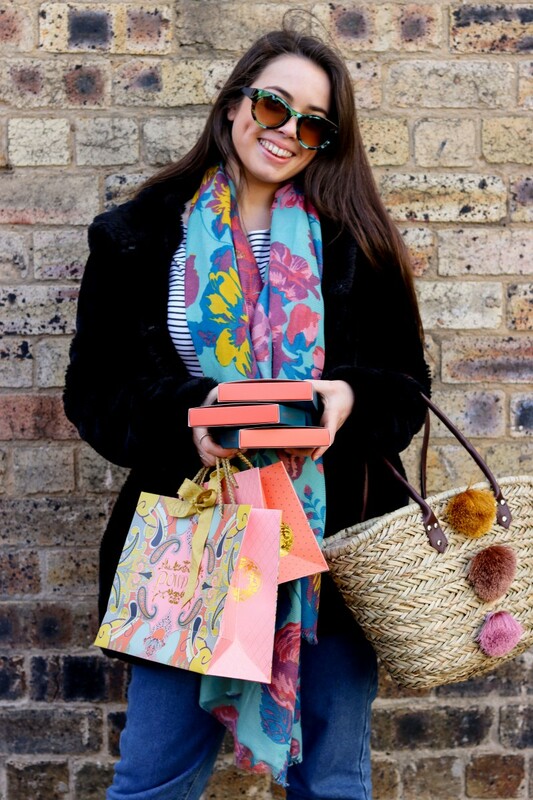 Working as a Freelance Blogger and Stylist, Annabelle Brodie is the perfect person to know for all things aesthetically pleasing; her natural ability to pair shapes, colours and designs made her the idea candidate for becoming one of our fun and fashionable Brand Ambassadors! Why not take a look at her everyday styling abilities on her personal Instagram today!